The 1980s seem to haunt us with each passing day. In international politics, nothing comes for free. If Russia wants to hold “war games” without OSCE notice and without NATO observers, it has every right as a sovereign state to go ahead and do so. But the Kremlin shouldn’t expect any further handouts from NATO and its members. Post-Estonia (2007), post-Georgia (2008), and post-Ukraine (2014), it has become clear that Russia’s imperialistic tendencies have not yet had its last breath. Put simply, allowing the Kremlin to continue their belligerent actions in Eastern Europe amounts to nothing less than appeasement by NATO members and blindness to the realities of geopolitics. Turning the other cheek will mean risking European democracy as well as the individual freedoms and liberties of Europeans to a leadership in Moscow that has failed to prioritize these principles. There is an old saying: to have peace is to prepare for war. That is exactly what needs to be done to deter a belligerent Moscow. 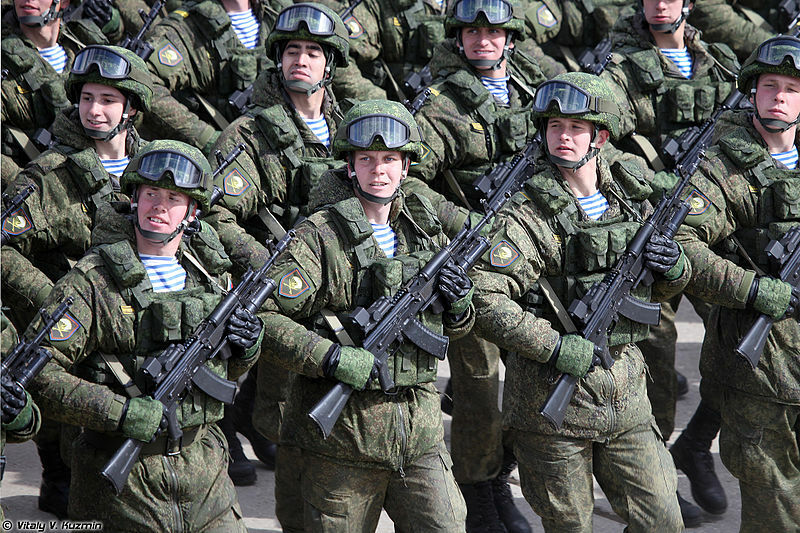 Military posturing is the only political signal that the Kremlin has ever respected. NATO needs to increase naval and air patrols to deter Russian recon flights and defend the sovereignty of NATO members. NATO members need to significantly increase R&D spending on their militaries to retain NATO’s technological advantage. Finally, NATO needs to hold massive, live-fire war games more often to prepare for possible aggression and to give the Kremlin yet another signal that NATO will not accept unfriendly behaviour. Russian observers, of course, are still welcome to watch. From September 14 to 20, Russia and Belarus completed what was purportedly one of the biggest military exercises since the end of the Cold War — and it surely spooked their western neighbours. The Russian government said that the major military exercise, formally known as Zapad 2017, involved 12,700 soldiers, 680 vehicles and roughly 70 planes or helicopters. However western governments attested that there were, in fact, many more troops engaged — 100,000 by some estimates. According to an OSCE agreement, a military exercise involving 13,000 or more troops must be monitored by foreign inspectors. Needless to say, Russia appeared to ignore this rule. Considering the magnitude of the exercise, the misleading troop numbers and the country’s aggressive and plainly unlawful actions in Ukraine, it is understandable why Zapad 2017 caused some alarm. But this doesn’t mean Russia is gearing up for war. As Simon Saradzhyan, from the Russia Matters Project at Harvard Kennedy School, points out, the necessary conditions that would spur Russia to initiate conflict aren’t there. Also, the military exercise, while significant, is part of an annual strategic exercise. It’s also not the largest to occur in recent years. Moreover, we should contextualise this. NATO has had forces stationed and engaged in defensive military exercises along Russia’s border since Operation Reassurance began in 2014. This mission was a response to Russia’s annexation of Crimea and is wholly defensive, however, to a cynical Russian government NATO’s presence is likely regarded as provocation. Viewed in this light, Russia is simply responding with its own display of force. This is not to say that Russia should not be seen as a threat to its neighbours. The war games were certainly meant to intimidate, but the reaction to Zapad 2017 was perhaps hyperbolic. NATO should continue to emphasize the importance of presenting accurate troop numbers, and respecting the OSCE’s Vienna Document in full, and otherwise remain vigilant. Any larger response might be overly reactionary. The Russian war games labelled Zapad 2017, raised alarm within the alliance last week. An estimated 100,000 troops were amassed on Russia’s western border and in Belarus to conduct what the kremlin has dubbed as a defensive exercise. The Baltic States fear that Zapad 2017 follows a known pattern seen before in Georgia (2008) and Ukraine (2014), when similar exercises were used as preparation for these conflicts. However, despite the credible threat, these war games seem to pursue different objectives. Zapad exercises started as a response to the aerial campaign followed by NATO in Kosovo back in 1999, and this time is no different. These war games aim to prepare Russia for a hypothetical NATO led invasion, an idea that seems to persist in the heads of many of the nation’s leaders. Additionally, their purpose is to enforce Russia’s area of influence in Eastern Europe, especially with Belarus, which has been recently flirting with the west. Finally, they were used to showcase the advances in military hardware and intimidate NATO allies in the region. The risk of an armed confrontation seems low, yet NATO must continue to reassure its allies by providing air policing and a strong and credible deterrence to Russian meddling. This is especially key with many of the eastern states’ reliance on the alliance for their defence. A zero tolerance policy for Russian military adventures should be applied; yet existing channels of communication need to be used to reduce any potential conflict. At a time of heightened tensions, agreed upon mechanisms of signalling and defusing conflict are key to reduce the chance of a conflict breaking out. Photo: Guards during a rehersal (2015), by Vitaly V. Kuzmin. Licenced under CC BY-SA 3.0.